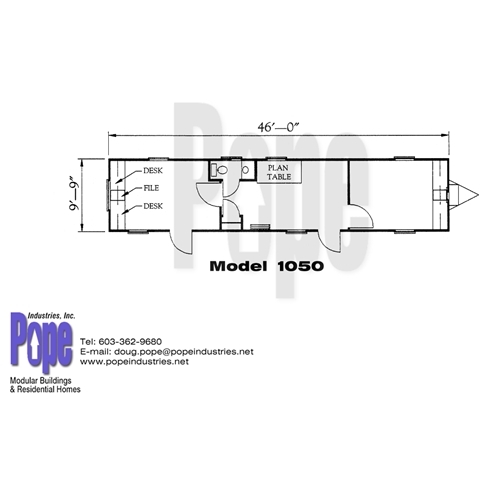 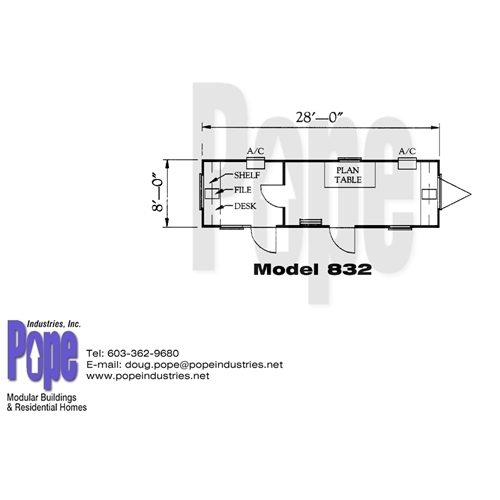 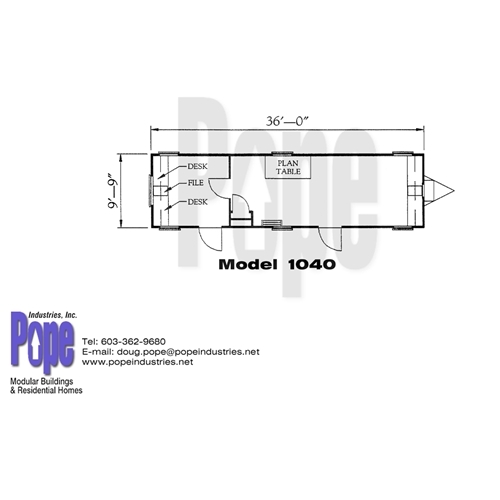 Office Trailers | Pope Industries, Inc.
Office trailers are used for any number or temporary occupancy applications; construction office trailers, restroom facilities, Specialty Units, office buildings. 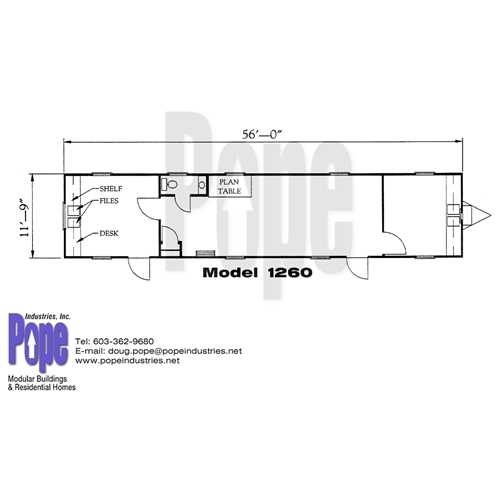 Office trailers come in variety of sizes from 8, 10, 12 and 14’ wide by 66’ long in one section. 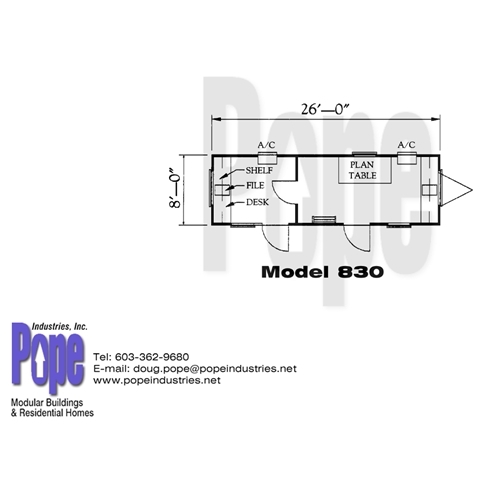 Depending upon the legal jurisdiction where the office trailer is to be located will depend upon whether a third party label is required representing state building code compliance. 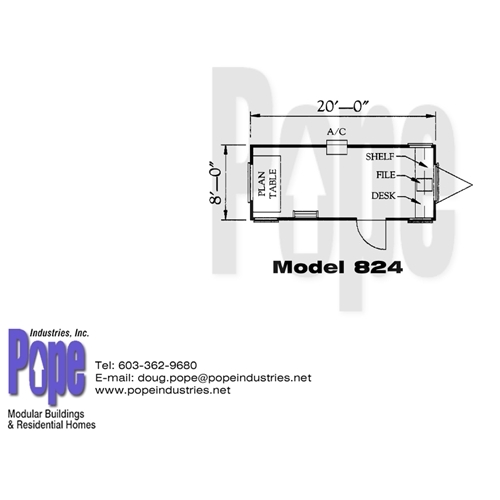 In the absence of a state label, the ANSI standard will be observed. 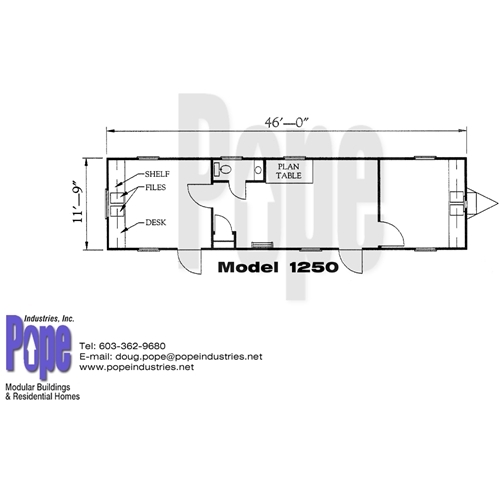 Office Trailers can be purchase outright, be rented, leased and will qualify for tax-exempt lease purchase financing if the borrower is a public entity.